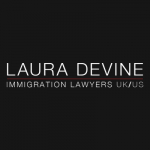 “Laura Devine Solicitors is an award-winning boutique immigration firm recognised as one of the foremost immigration practices in the UK (ranked in ‘Band 1’ by legal directories).” See also their useful guide to immigration law in light of Brexit here. 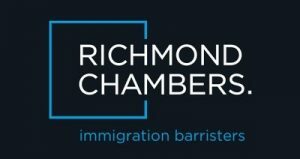 What can UK immigration lawyers help migrants with? There are a wide range of services on offer by UK based immigration solicitors, who can serve to help foreign nationals both already in the United Kingdom and those wanting to live and work in the UK, particularly given Brexit immigration law concerns. Within the United Kingdom, the UK Border Agency and the Home Office department are responsible for matters of immigration, and law firms exist to help with what can often seem complex matters, including the wide range of visa applications that there are, appeals to the UK’s higher courts, and even dealing with refusals and judicial review. There are a large number of different visa types available in the United Kingdom, and it is not always clear to applicants which visa is the right one for them. Broadly speaking, these are Spouse & Civil Partner visas, Fiancé & Proposed Civil Partner visas, Family visas, and Work Permits and visas. Immigration law firms can often not only advise applicants on the right visa for their given circumstances, but also assist with the actual application process itself. In some cases, applications to the UK Border Agency are refused, and it can be possible to appeal such decisions, though not always. There are a variety of ways in which appeals can be carried out, and it is an often complex and difficult procedure. It may also be possible in some cases to seek what is known as judicial review. This is where a legal process takes place to challenge a decision, action or failure to act of a public body exercising a public law function. Because of the complexity and high level of such a legal procedure, immigration lawyers are best placed to help people who find themselves needing to appeal a decision or seek judicial review. Applying for a visa in the United Kingdom can be a long and expensive process. For this reason, it is advisable in almost all cases to seek advice from an experienced immigration lawyer first. It is very rare for a visa application to be completely straightforward. Matters can be vastly complex, and lawyers are able to advise on matters relating to visa eligibility, evidence and documentary evidence requirements, as well as providing support and guidance once eligibility has been established and confirmed. In some cases, foreign nationals in the UK have been convicted or accused of criminal offences. If a person is in the UK and is subject to any kind of immigration control (if they do not have British citizenship) the Secretary of State has broad powers of detention. If accused or convicted of a criminal offence whilst in the United Kingdom, this can have serious consequences for a person’s right to stay here. It is highly advisable to seek expert legal advice in such serious and possibly adverse circumstances. Need Help With Your Immigration Law Query? Need a second opinion on your immigration query or want to ask a free question? Get in touch here and we’ll be happy to point you in the right direction. For Immigration Law Firms – Want to get listed? If you think your immigration law firm deserves to be listed here? Get in touch here and we’ll be happy to consider you.